Clean styling, innovative features, and exceptional build quality - Pandora Window represents the next level of BitFenix chassis design. The soft curved design is surrounded by luxuriously brushed aluminum side panels which give the entire case a timelessly elegant look that melds perfectly with any modern décor. Pandora Window also features a large acrylic window side panel with SSD cutout that helps you show off the hardware inside. 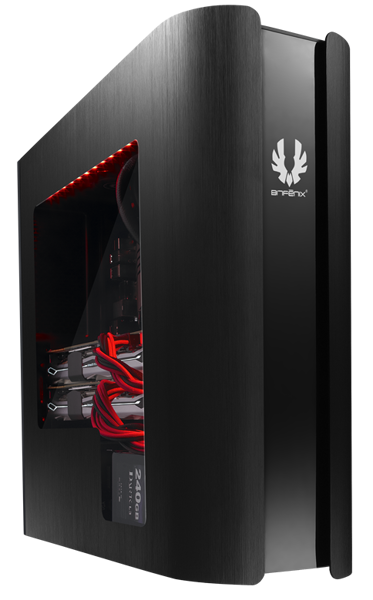 On the front of the case is BitFenix ICON™ – an innovative programmable display that can be customized with a simple drag-and-drop interface, making it simple to personalize the look of your case whenever inspiration strikes. Despite its slim 160mm width, Pandora Window can accommodate high-octane hardware, such as 240mm water cooling radiators, and expansion cards up to 350mm in length. 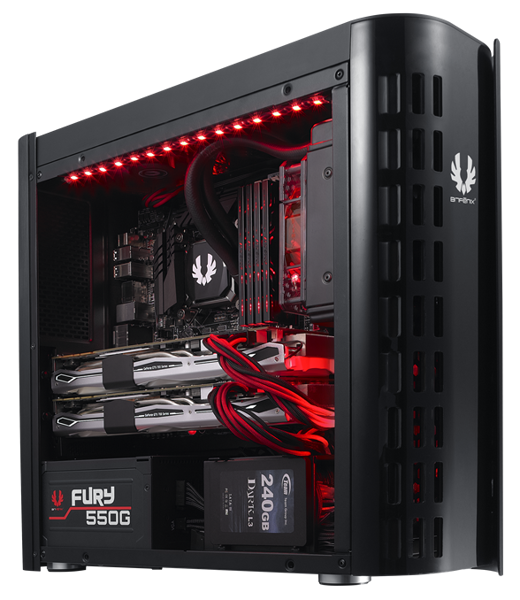 Users are able to house up to two 3.5" HDDs or three 2.5" SSDs, and to keep all of this hardware running cool, a direct airflow design along with smart cable management features help ensure everything runs frosty. Friendly features like pre-installed standoffs and pop-off screwless side panels help get your system up and running quickly, while magnetic dust filters allow for easy clean up. At just 160mm wide, Pandora Window features a timeless slim design that fits in any modern décor. The sleek curved styling makes it look every bit as elegant in the living room as the computer room, making Pandora Window an ideal chassis for a media or living room PC. 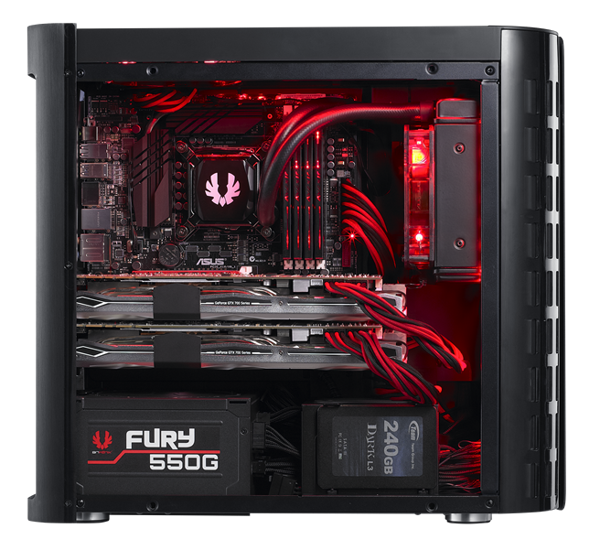 Pandora Window is the first chassis to feature BitFenix ICON, a fully programmable display that connects to your system. With ICON, you can easily change the BitFenix logo with your own custom image. Featuring a simple and intuitive interface, BitFenix ICON makes customizing the look of your case as easy as drag-and-drop. Adorning both sides of Pandora Window are two curved side panels that come in both black and silver. Crafted from solid aluminum and featuring a matte brushed finish, these side panels not only help dissipate heat from the system, but also give Pandora Window an undeniably timeless look. Despite its svelte build, Pandora Window can accommodate a plethora of high-end hardware, including graphics cards up to 350mm in length, and even a 240mm water cooling radiator. On the storage side, Pandora Window can hold up to two 3.5" hard drives or three 2.5" SSDs, making it an impressively capable system with styling to match. 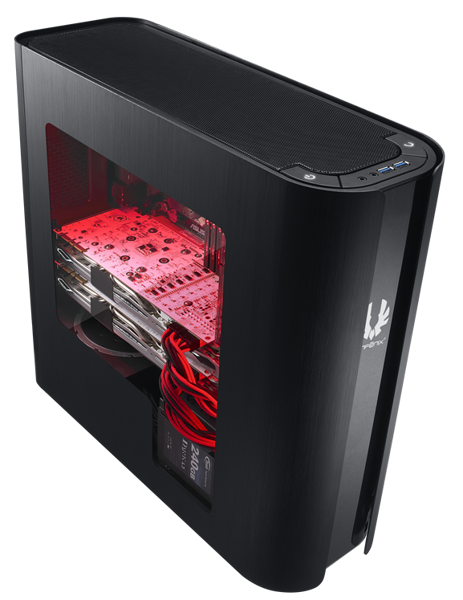 To help keep your hardware cool, Pandora Widow employs smart layout and cable management features to ensure that cool air from the front fan locations can reach your graphics card and CPU. By minimizing cable clutter and locating fans where they are needed most, Pandora Window can effectively keep system temperatures manageable despite its slim form factor. Building inside a small case is generally a nightmare, which is why Pandora Window smartly designed for quick and easy installation. Pre-installed standoffs make it easy to install your motherboard, while easy pop-off side panels give you quick access to your system's internals. Across the power supply location is a unique cable management bracket that makes it easy to keep your power cables under control and maintain optimal airflow. Like all BitFenix chassis, Pandora Window includes the same attention to detail that makes owning a BitFenix chassis an entirely new experience. 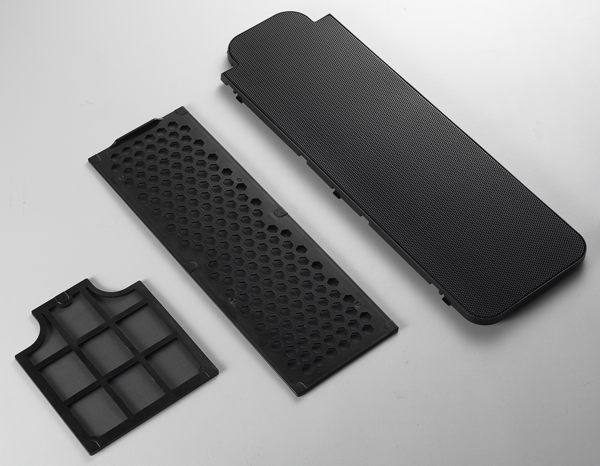 Quick release dust filters throughout the case help keep internals clean while being easy to wash, and rolled-edge cable pass-throughs prevent damage to cables and fingers alike. Add to that anti-vibration washers throughout and a luxurious powder-coated interior, and Pandora Window represents the quintessential BitFenix experience.